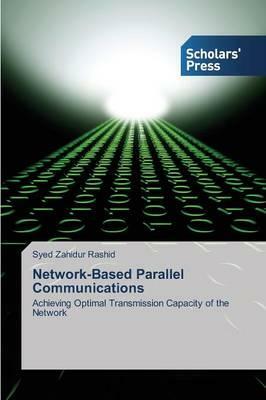 Main objectives pursued by parallelism in communications are network capacity enhancement and fault-tolerance. Enhancing efficiently the capacity of a network by parallel communications is a non-trivial task. The parallel paths of arbitrary network topologies can share common resources. Some applications may allow one to split also the sources and the destinations into multiple sources and destinations. An example is parallel I/O. Parallel I/O requires scalability, high throughput and good load balance. In this book we combine fine granularity with scalable high throughput. The network overhead can be reduced and the network throughput can be increased by aggregation of data into large messages. In low latency high performance networks, serious congestions occur due to large indivisible messages competing for shared resources. We propose to optimally schedule the parallel communications taking into account the network topology. The developed scheduling method optimally uses the potential transmission capacity of the network. A challenging idea, inspired by nature, is to simultaneously use all parallel resources. This idea is applied to fine-grained packetized communications.